Views from the Cumbrian coast across the Solway estuary to Criffel a 570m hill in Dumfries and Galloway are worth savouring. 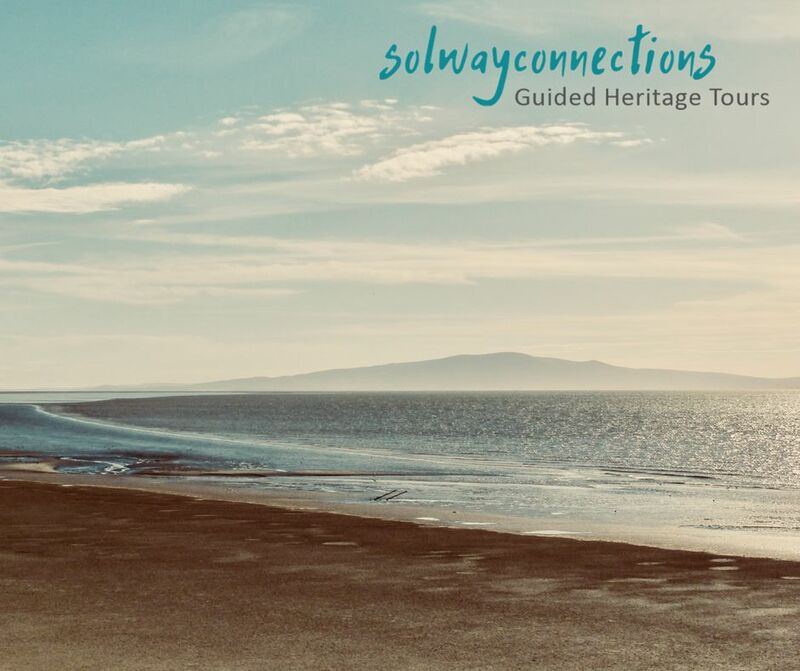 This is a hill with a majestic outline that draws the eye to the west as you journey around the Cumbrian coastal plains on a Secret Solway Tour. 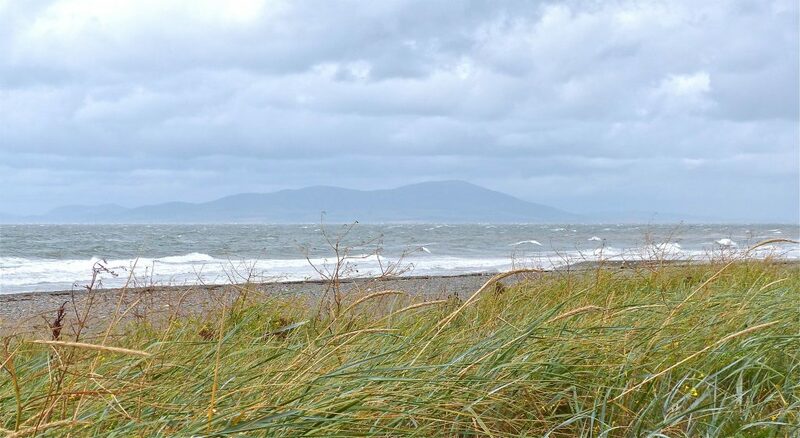 Looking across the Solway estuary to South West Scotland, the seasons and the changing light give differing personalities to Criffel. On a soft, calm misty morning Criffel can almost float in a suspended state above the estuary, seeming like ‘middle earth’ to those of a Tolkien persuasion. 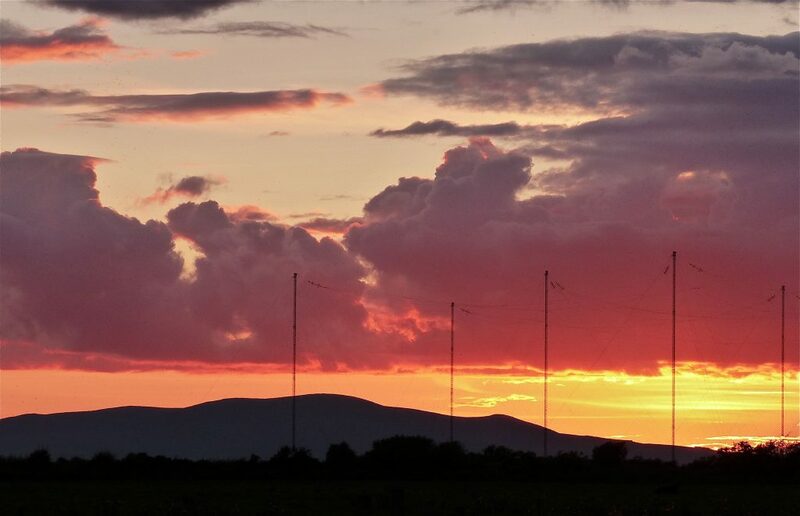 On summer evenings Criffel becomes a slumbering dragon with a wondrous fiery sun setting behind it. On stormy grey winter days Criffel turns into a foreboding and implacable being. 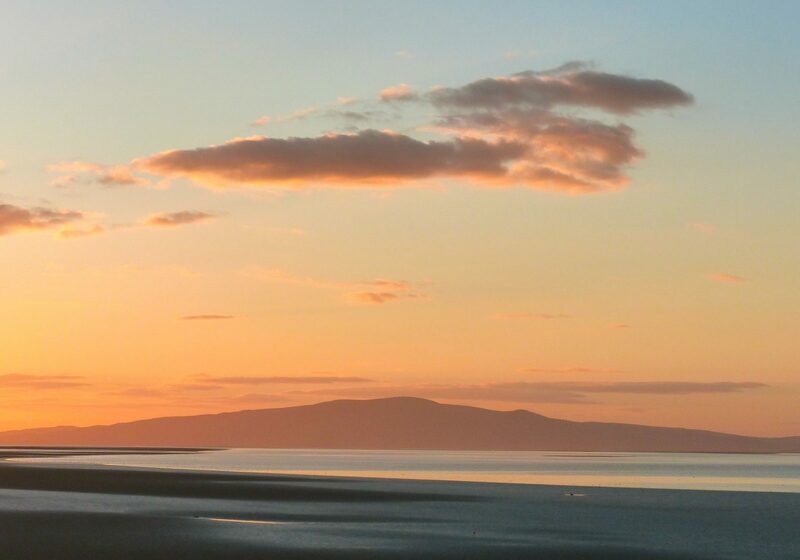 Sometimes mystical, secret, or serene, and always changing, fascination for the mercurial nature of Criffel has made photographing this beautiful hill a favourite Secret Solway pastime. The name Criffel is thought to be from Norse language, meaning ‘Crow’s hill’. With flanks covered in bog cotton,heather and bilberry, inhabited by skylarks, Criffel looking down over Loch Kindar and across the Solway Firth to Cumbria in England, has born witness to the deeds of many through the centuries. The lives of the Carvetti tribe or ‘Deer people’ who lived on the Cumbrian Solway plains and the Novantae tribe of south west Scotland would have been watched over by Criffel. As would the arrival of the Romans, and then the Vikings to the Solway shores. Viewing the passage of pilgrims, reivers, smugglers and others, Criffel has also born witness to the tragedy of lost lives of many fighters and travellers who through the ages failed to safely cross over the dangerous sands and waters of the Solway estuary. A hill with tales to tell and a reason for visiting the Cumbrian Secret Solway coast.